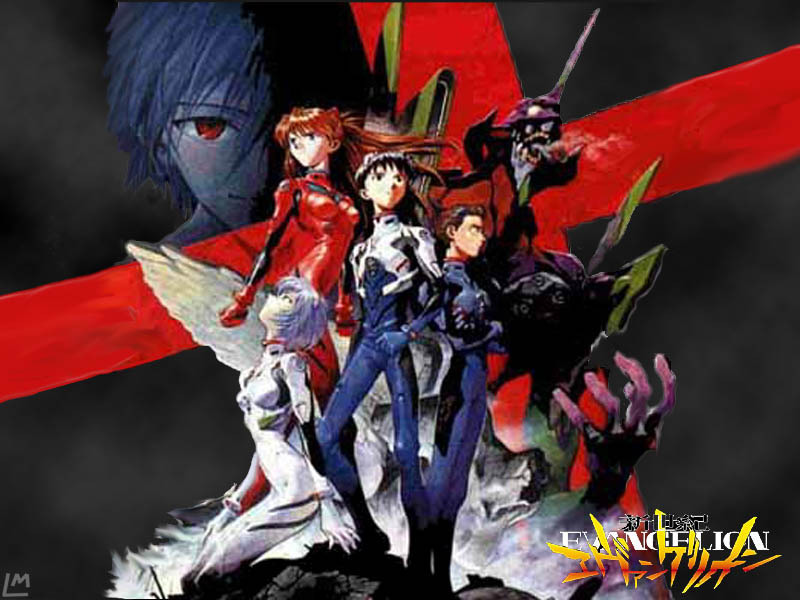 In this section, you could find some pictures of Evangelion that I collected throught time. If some of the material there is yours, just write me, at my guestbook, with a private message ^_^ and tell me. I´ll put you on my links! 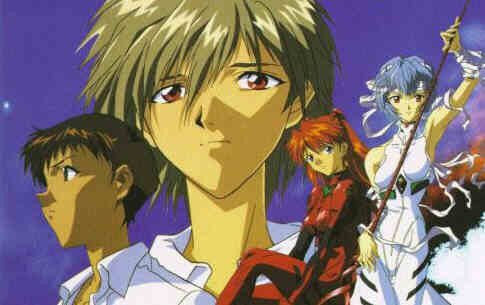 275kaworu.gif An SPECTACULAR of Eva01, Eva02 and Kaworu in the middle. 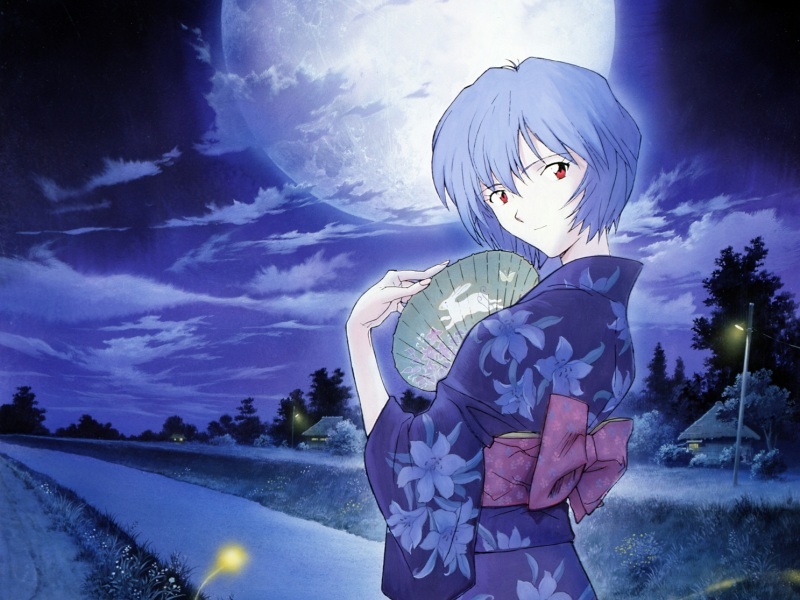 492kaworu.gif A Cool image of Kaworu. 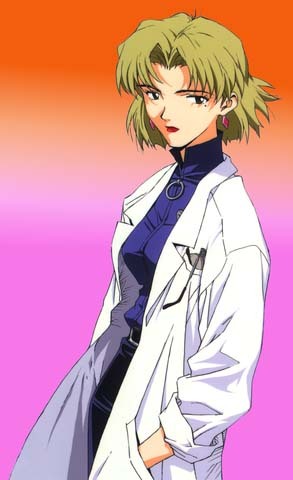 519kaworuasuka.gif A cool C.G. 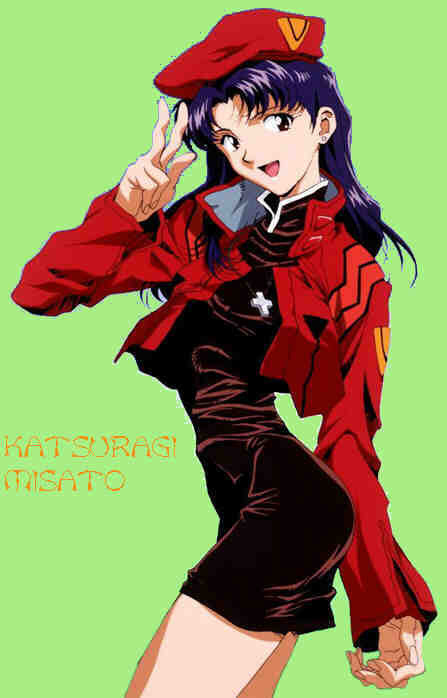 of Asuka walking, and Kaworu around her. 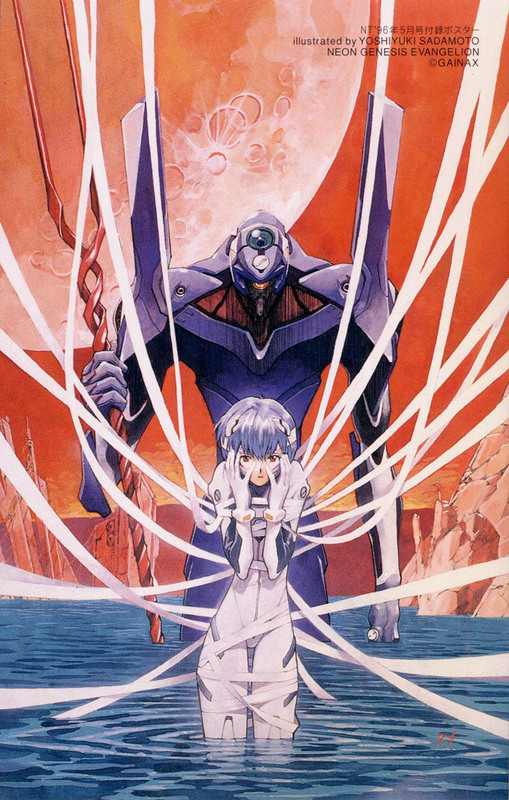 97cal_rei.jpg Rei with her Eva00, and an orange background, and liquid to the legs. 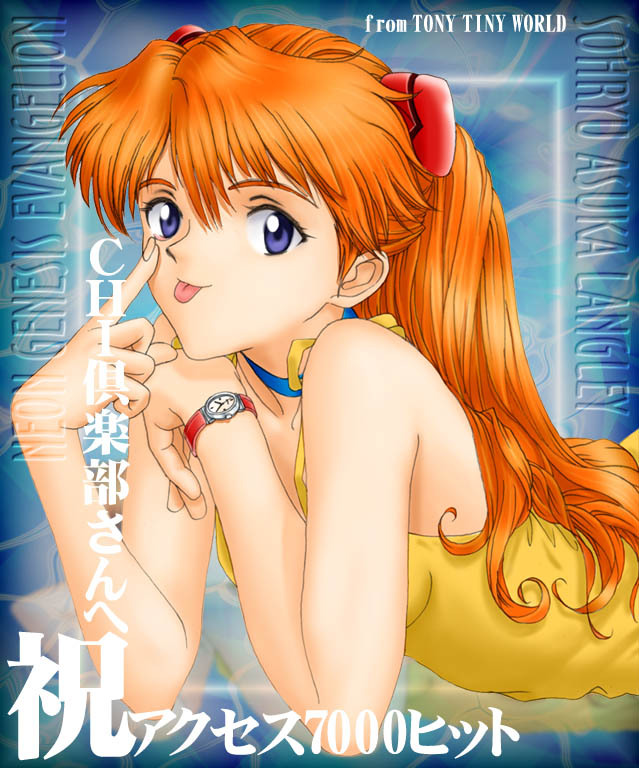 asuka_cyberarm.jpg A GREAT image of Asuka. 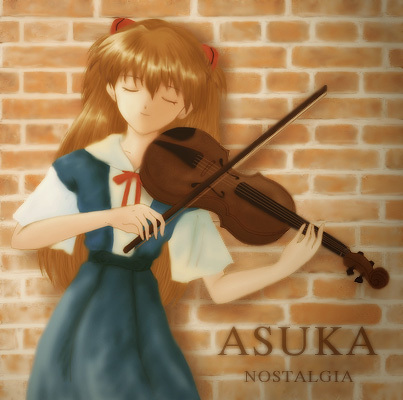 asuka_violin.jpg A cute image of Asuka with a violin. asuka01.JPG Asuka as a little girl. 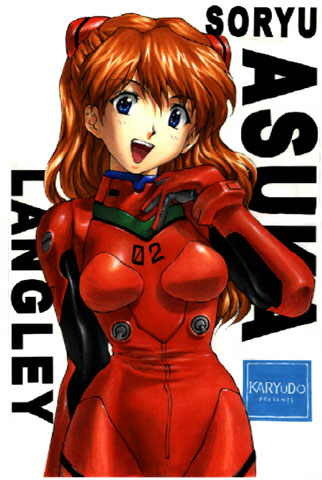 asuka019.jpg A good image of Asuka. 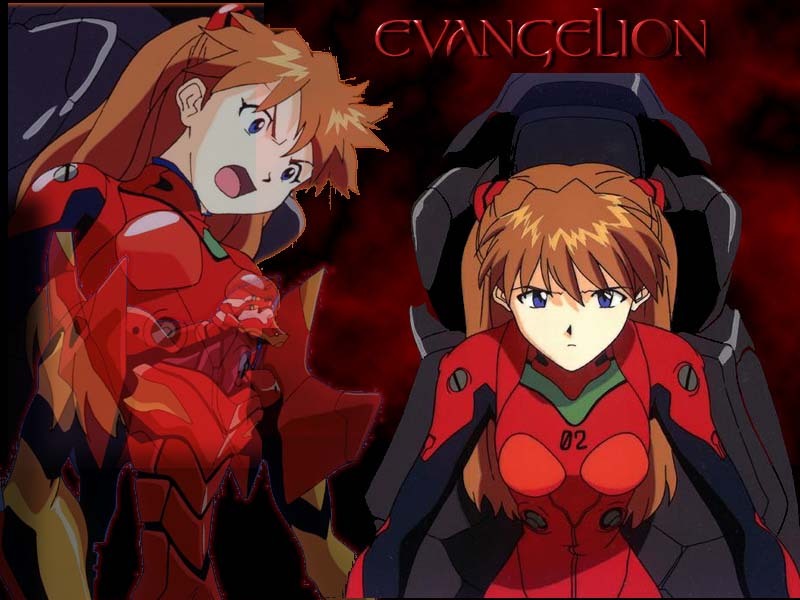 asuka038cgi.jpg Asuka looks sad, looking at Shinji´s suit. asuka04.jpg A cute image of Asuka with her tongue out. 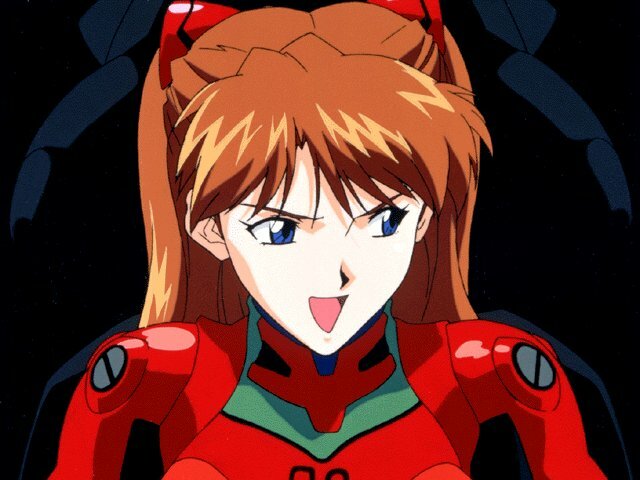 asuka122.jpg A funny image of Asuka. 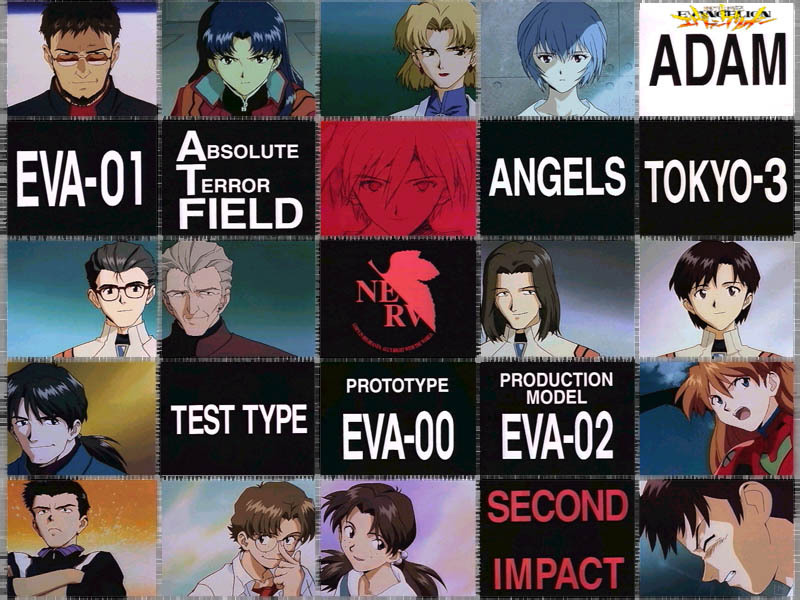 backjEva.jpg On this image are some of the Evangelion main characters. 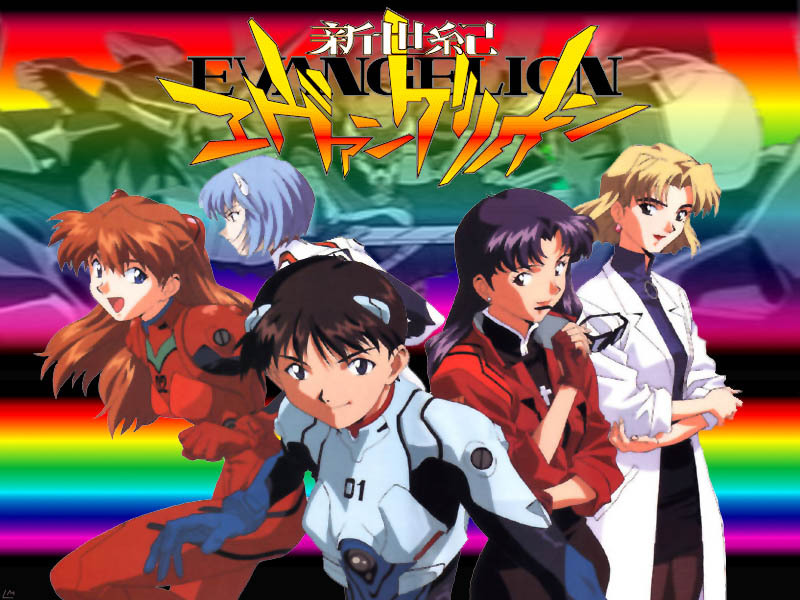 backjevast.jpg Right to left: Ritsuko, Misato, Shinji, Asuka and Rei. 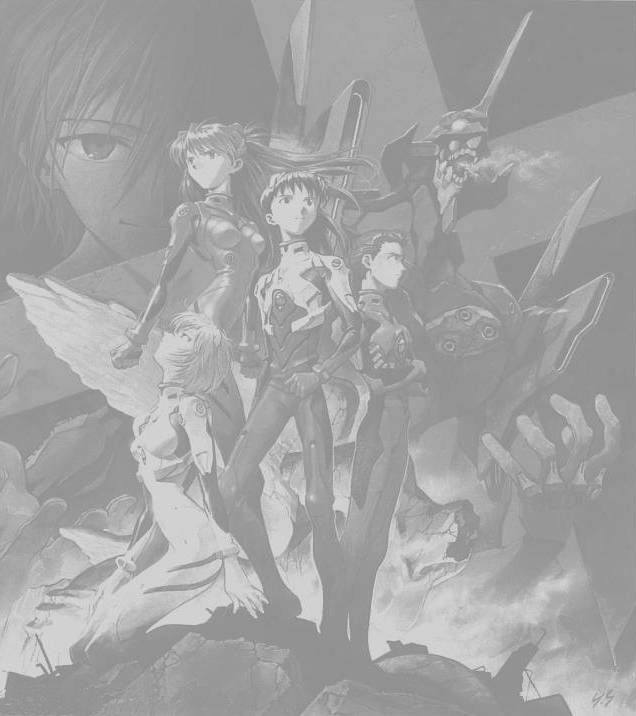 backevcage.jpg A cool picture with Eva00, 01 y 02.
backjevwall.jpg An image with the faces of the main characters, and words that mean something. backjpost_bk.jpg Is the image at the start of the page. 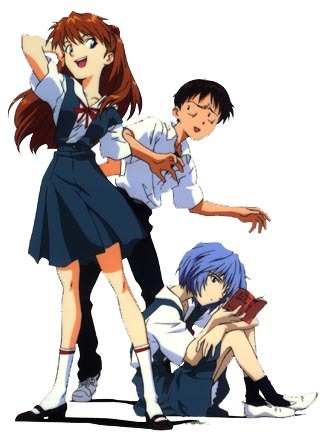 children.jpg There are Asuka, Shinji, and Rei is reading something. 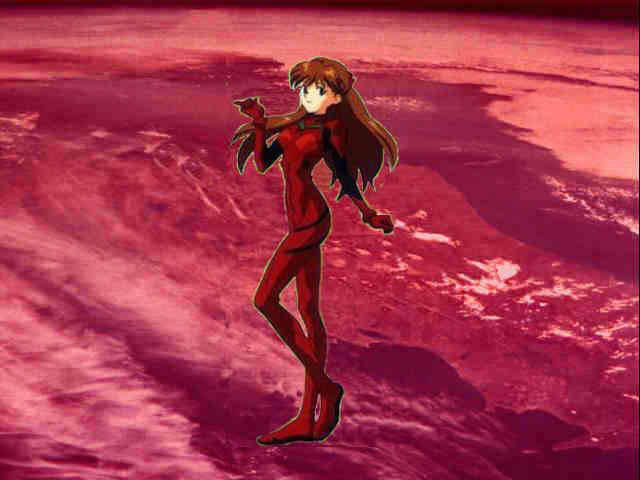 edited-asuka1.jpg Asuka with mars at the background, It´s REALLY COOL! 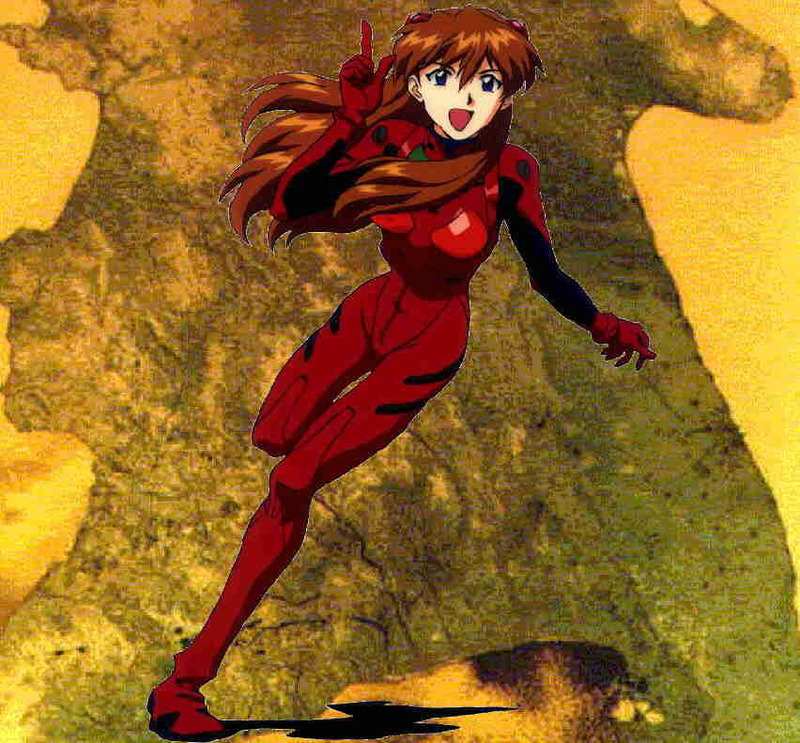 edited-asuka2.jpg Asuka again with a COOL background. edited-children.jpg The three children on a cool background. 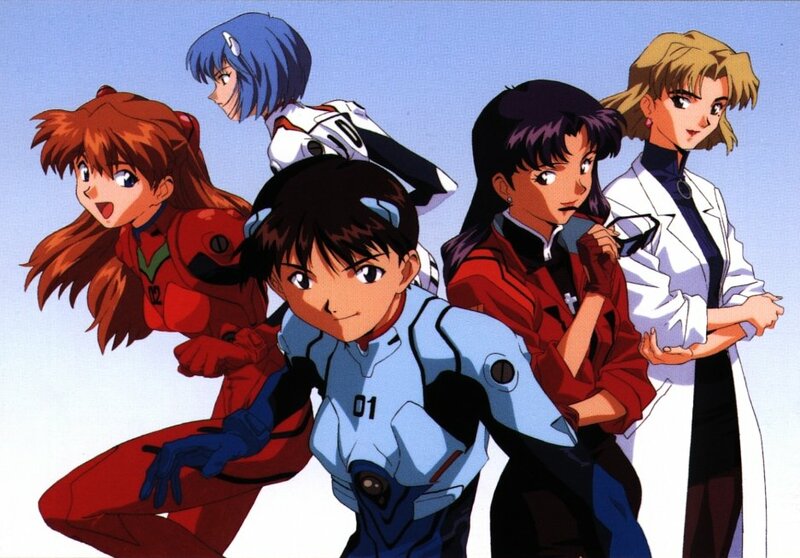 eva.jpg Asuka is in the middle, inclined to the front, with Shinji at the right and Rei at the left. 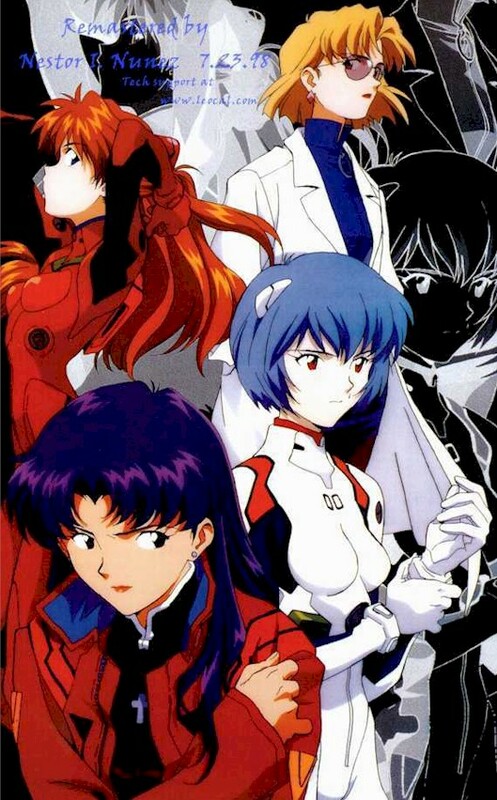 eva006.jpg Right to left: Ritsuko, Misato, Rei and Asuka. 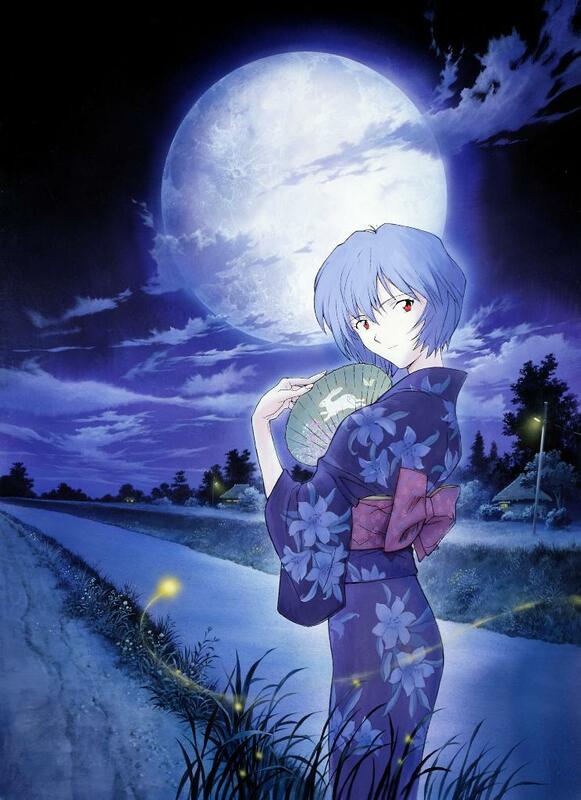 eva1.jpg Rei looks transparent, and is wearing some sort of Kimono, helding a fan, with the moon at the background. 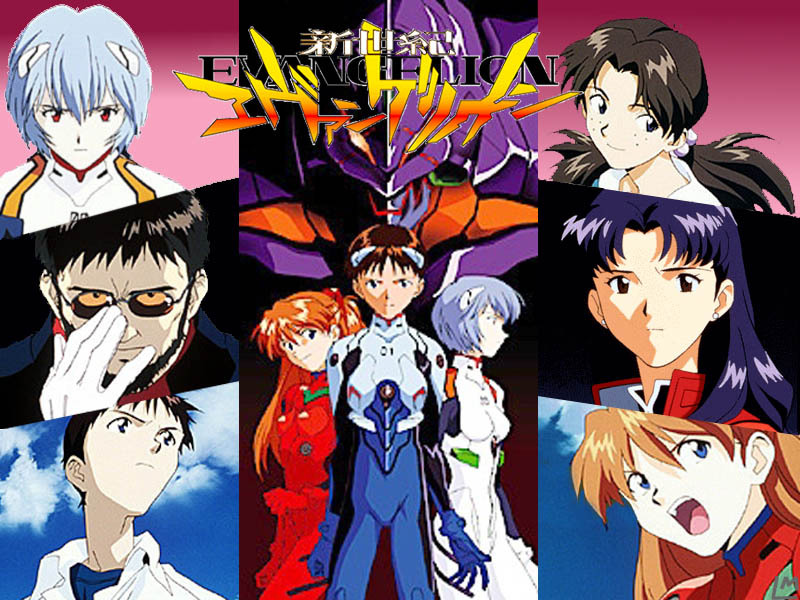 eva22.jpg Right to left: Gendou, Ritsuko, Rei, Shinji, Misato and Asuka in the middle, and behind her the EVA01. 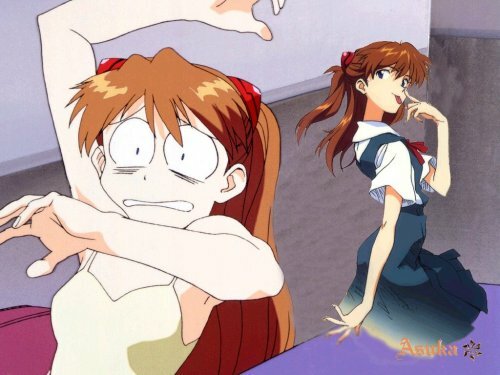 eva2.jpg Asuka, Rei and Shinji in school outfit. 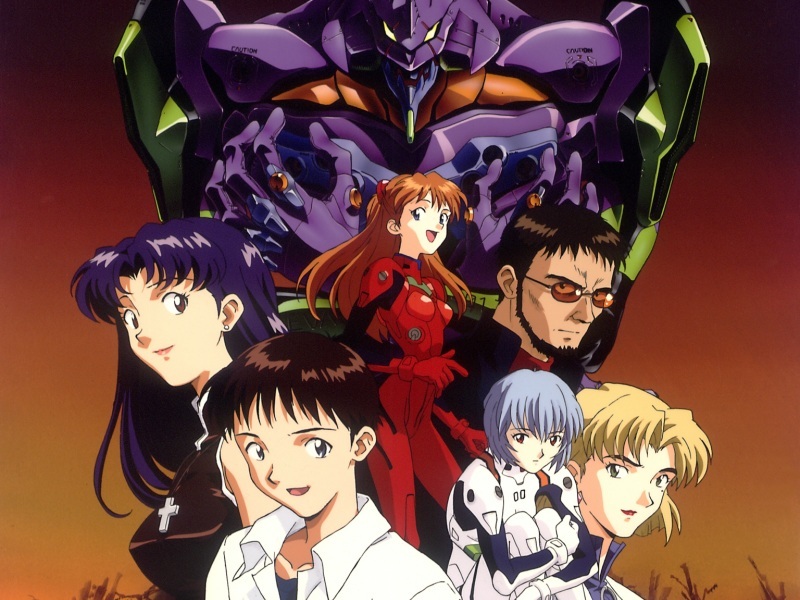 eva2d.jpg A group picture with Asuka, Shinji y Rei. 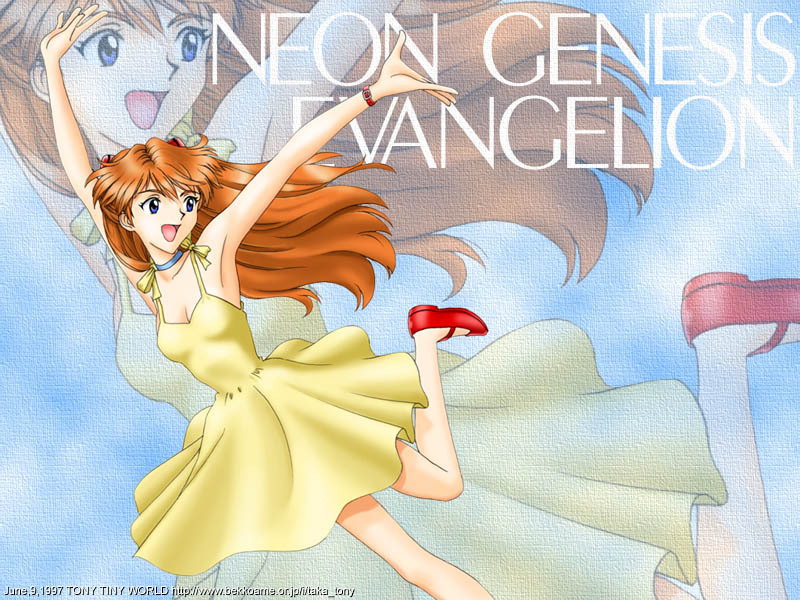 eva3.jpg Asuka running and the background says "Neon Genesis Evangelion". evabg.jpg The same at the top, but in grey scale. evabg11WOW.jpg The same backjevast.jpg but with another background. evabg11WOW1.jpg The same up here, but in different colors. 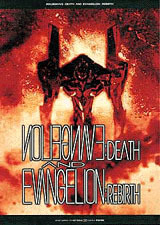 Evadeath_and_rebirth.jpg A poster of the movie "Death:Rebirth". evaKajinnueva9347.jpg Misato holding Pen-Pen and Kaji behind her. 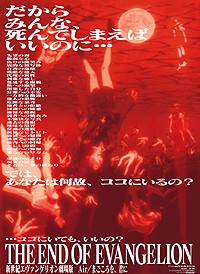 evamovie2poster.jpg A poster of "The end of Evangelion"
evaposter.jpg Right to left: Rei, Asuka, Gendou, Misato and Ritsuko, and is in the middle. evarei01.jpg Rei in school outfit aparently looking at the window. 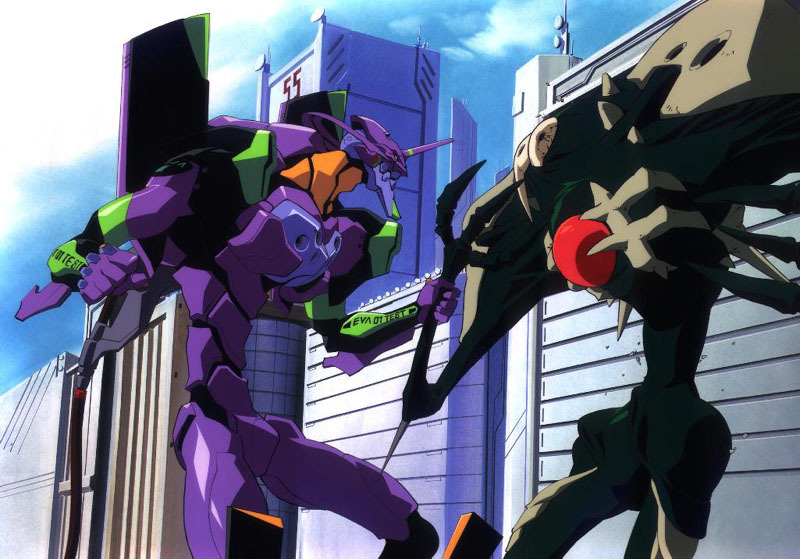 eva26shito_cyberarm.jpg A good image performing eva01 fighting a shito. 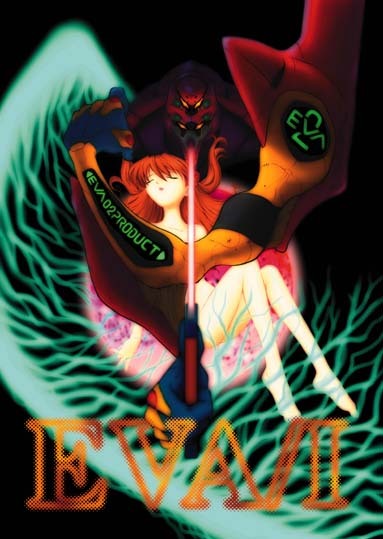 evarei03.jpg The same as eva1.jpg but completed. evarei06.jpg Rei, interweaving her fingers, with Eva01 at the background. 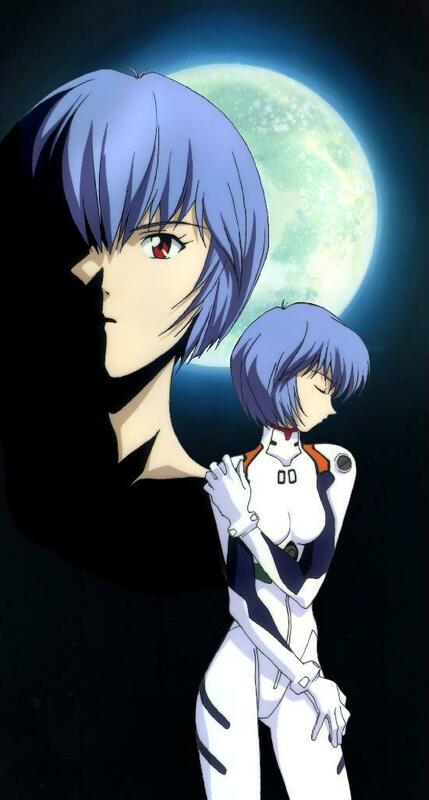 evarei18.jpg Rei´s face, with the moon at the background, and down, Rei is holding herself. 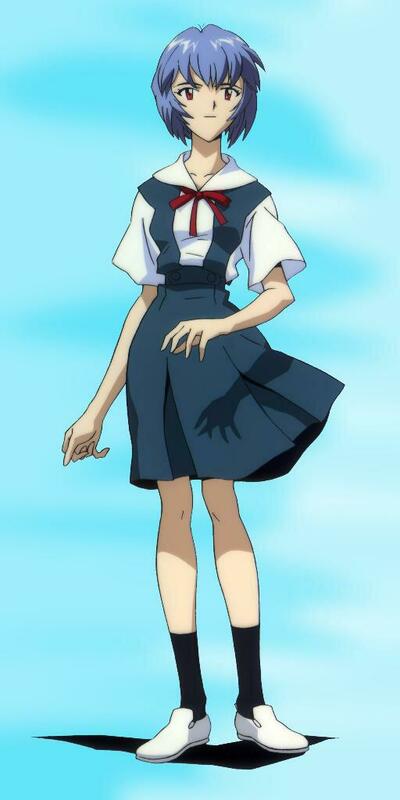 evarei19.jpg Rei in school outfit. evarei2.jpg Rei, apparently with anger. 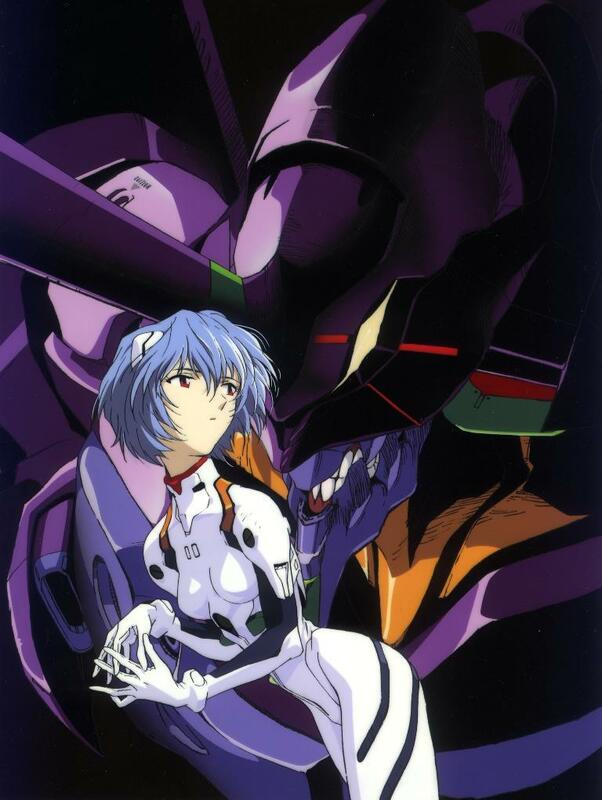 evarei5.jpg Rei and her Eva00. 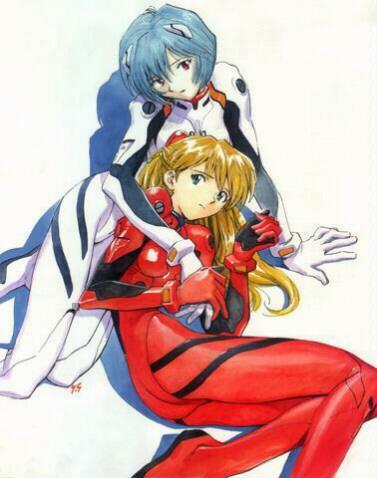 evareiasuka10.jpg Asuka and Rei holding her hands. 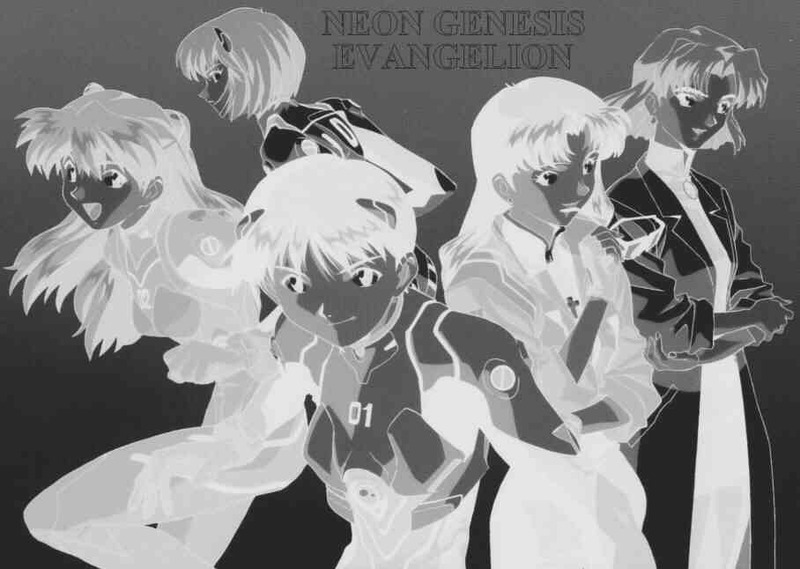 neon_022.jpg Right to left: Ritsuko, Gendou, Rei, Shinji, Asuka, and Misato. 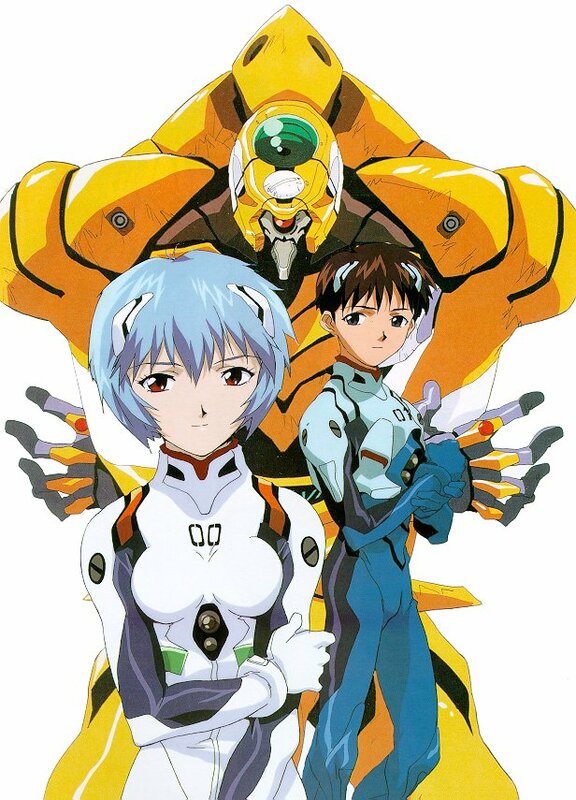 oth005_cyberarm A Cool image with Rei, Shinji, and the old (yellow) EVA00. 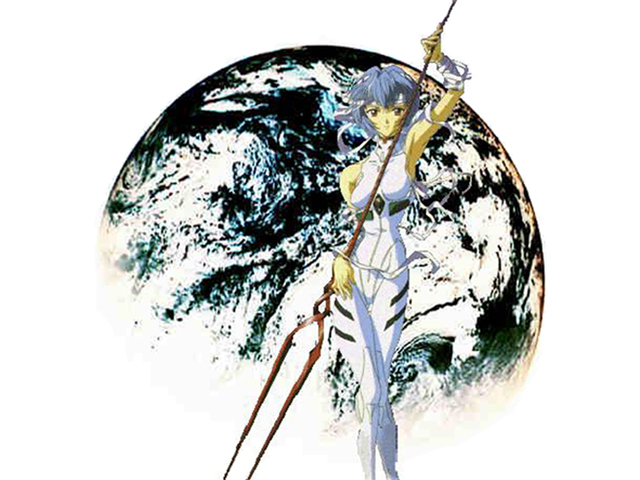 reieva.gif Say hello to Rei! reieva2.gif The same as reieva.gif, but the colors are inversed. Back to the index? Click here! DISCLAIMER: Every Copyrighted material in this page is property of their respective owners. 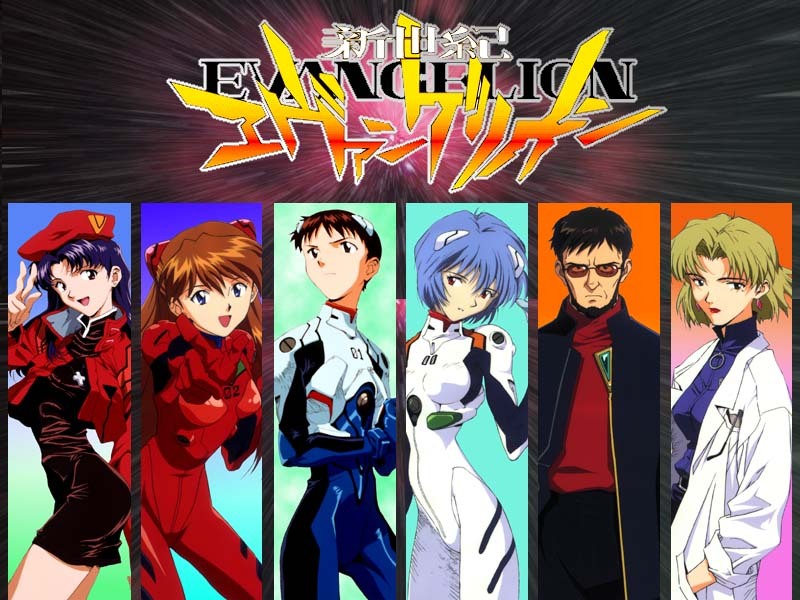 Shinseiki Evangelion is property of GAINAX/Project eva, Tokyo TV, NAS.